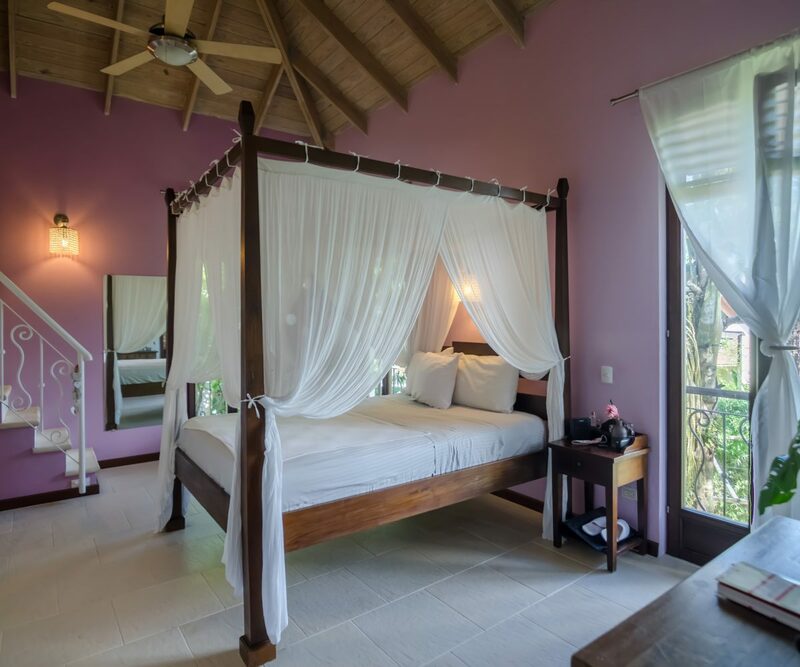 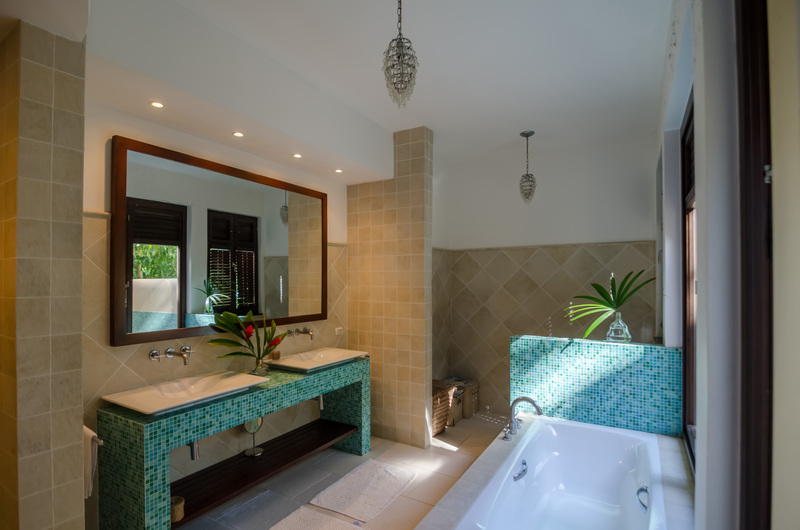 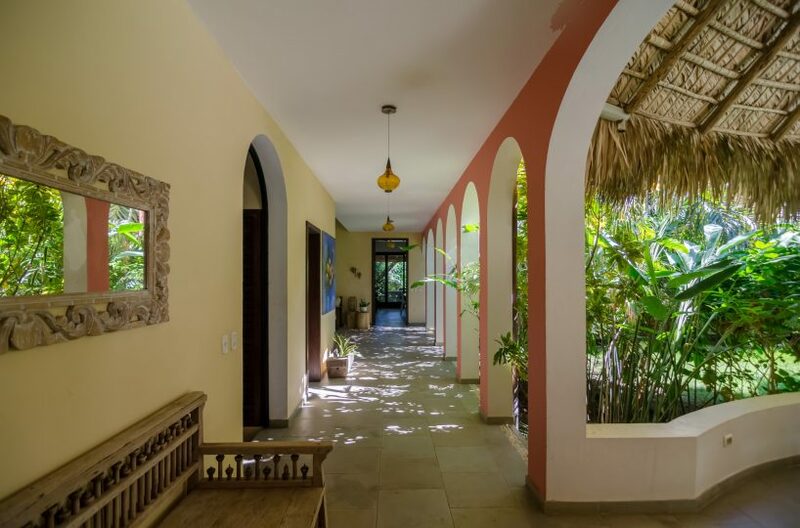 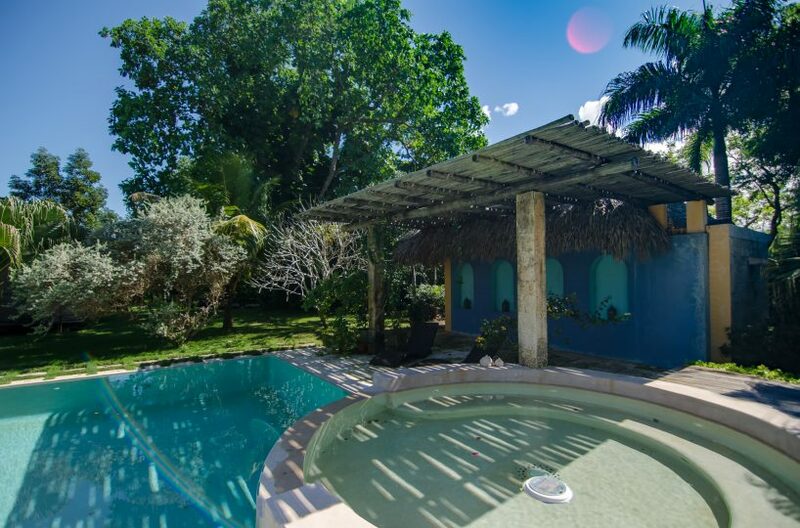 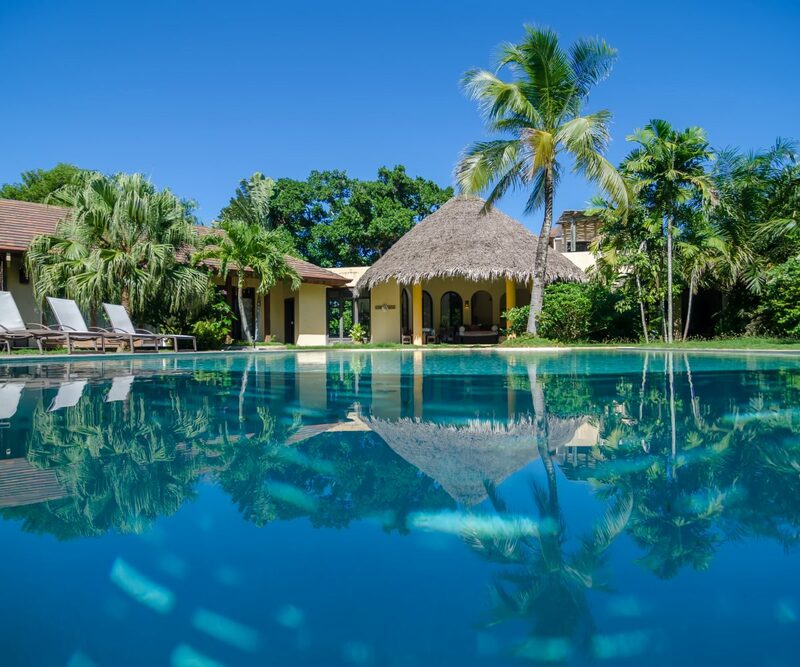 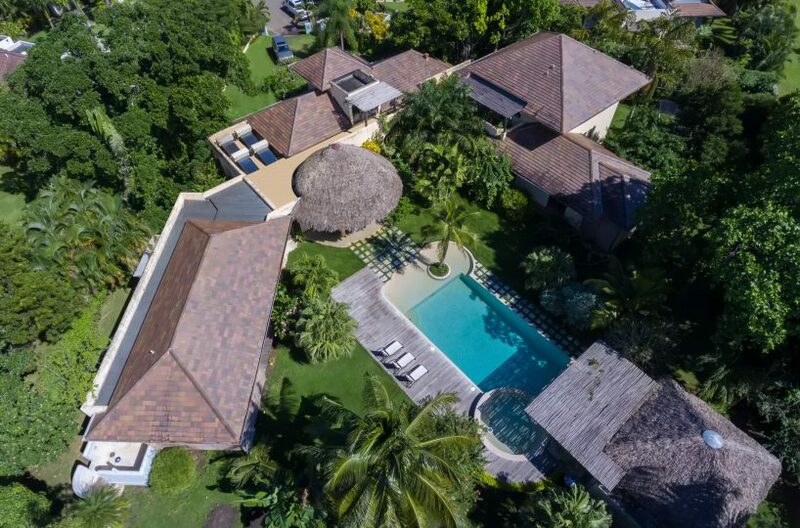 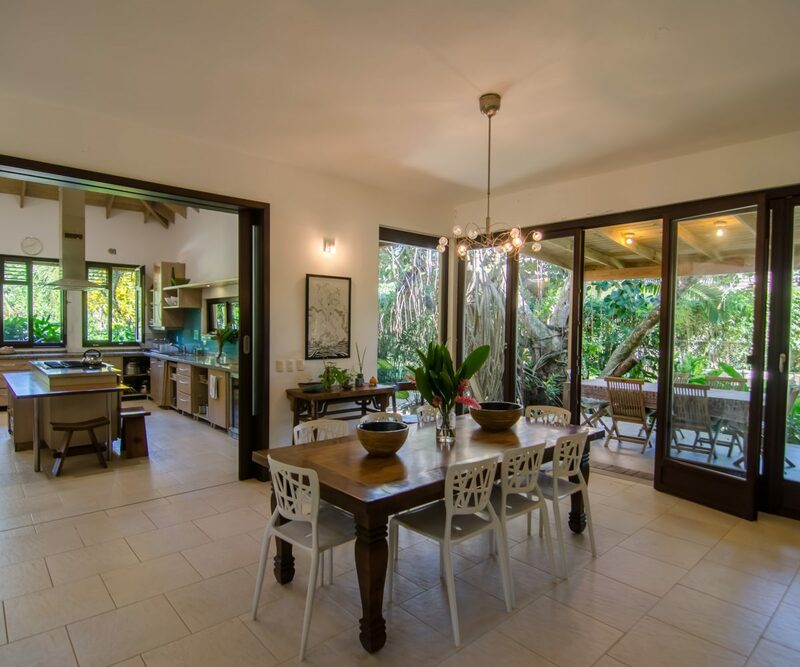 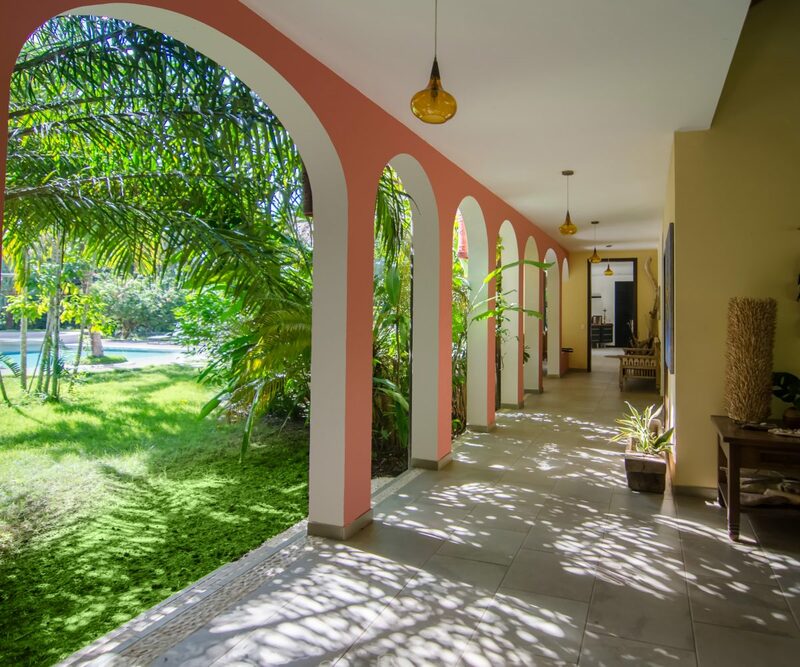 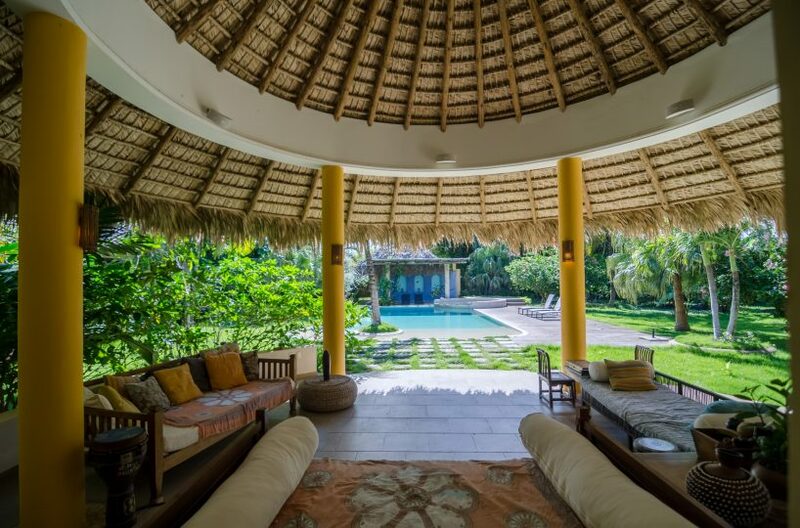 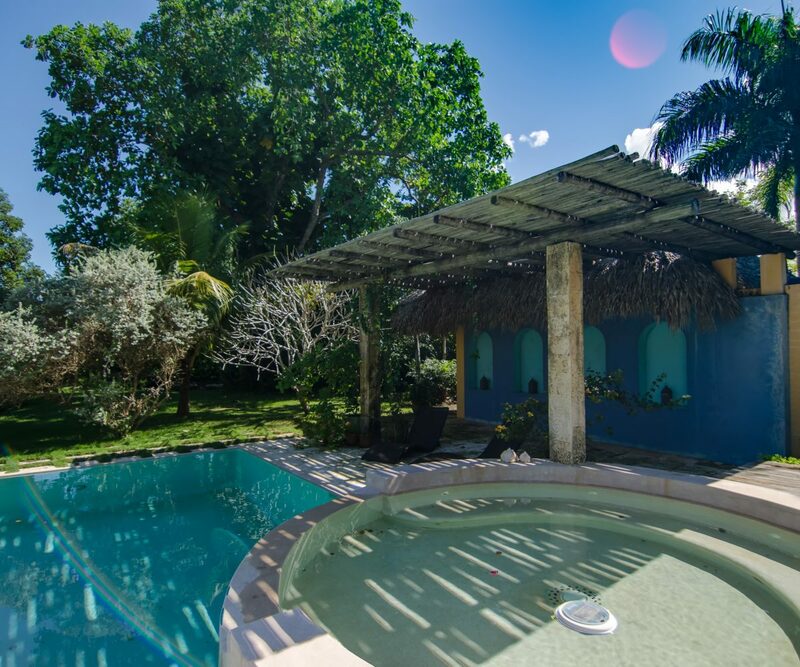 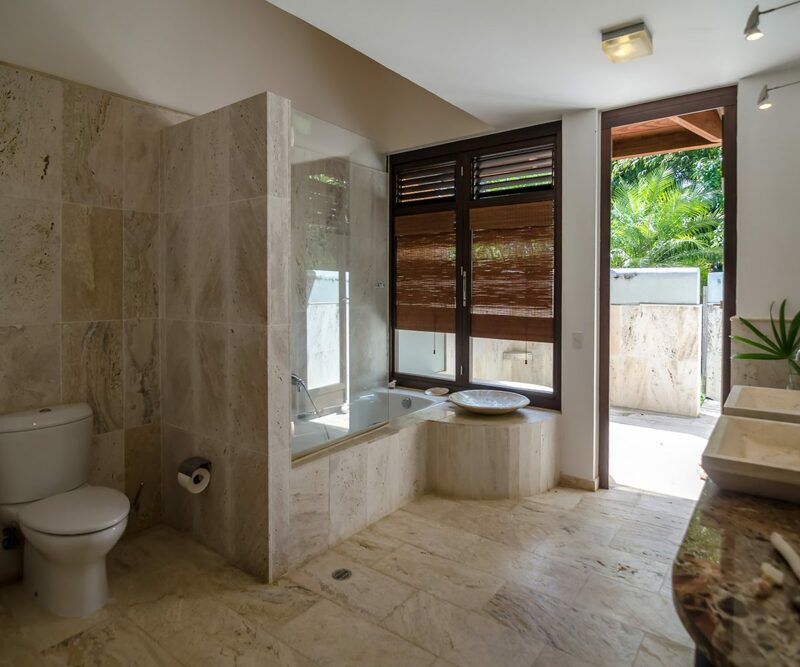 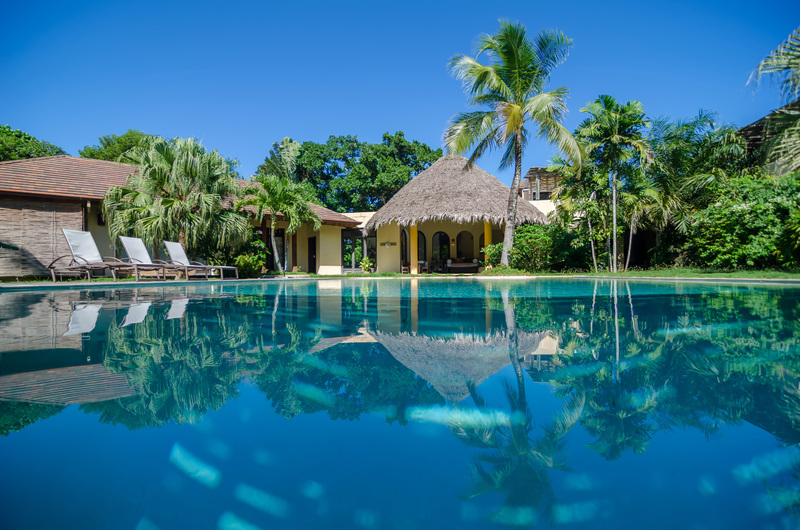 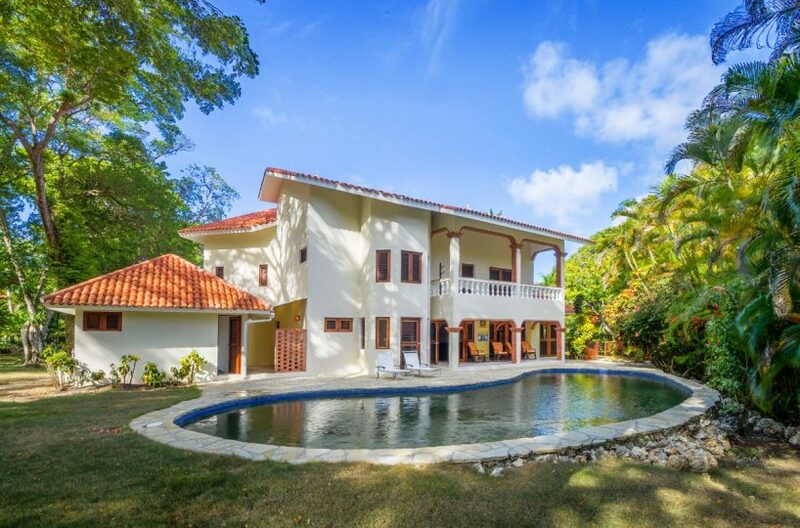 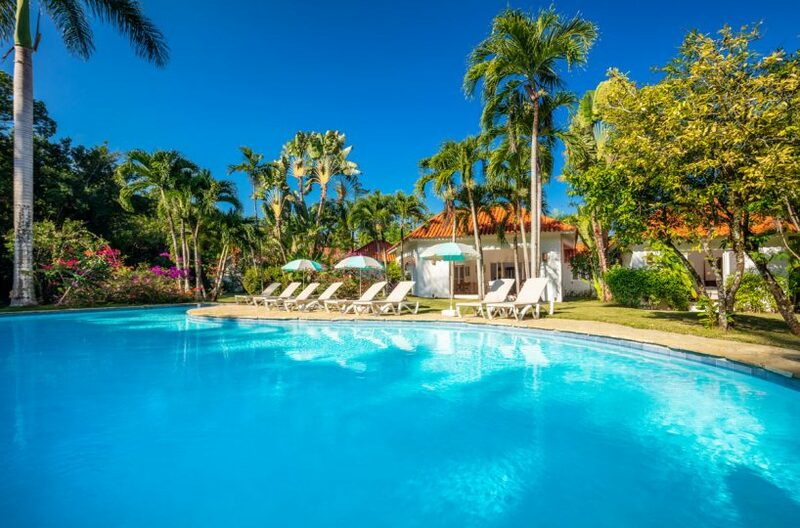 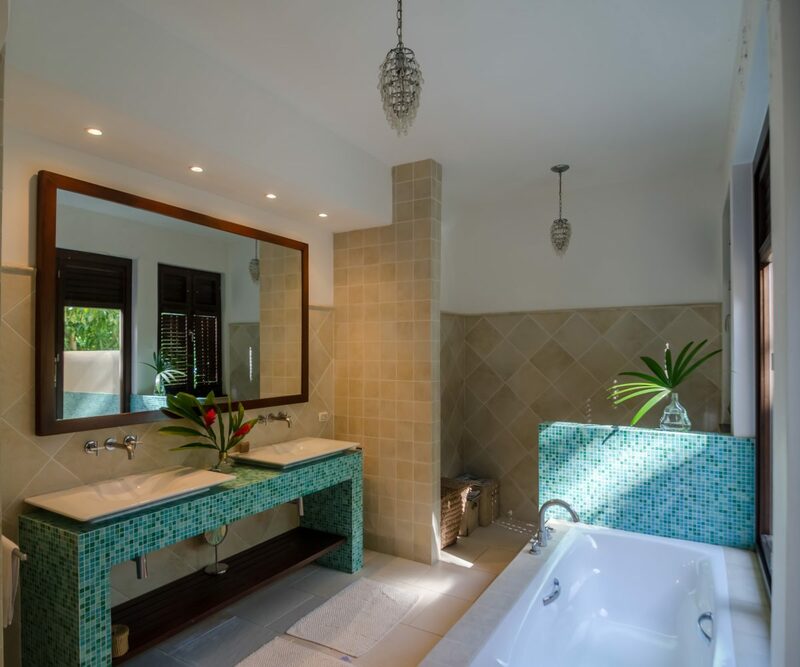 Villa Bohème is a luxurious Caribbean villa featuring six bedrooms, six and a half baths, a private pool and garden, and is a brief walk to the Tennis Club at Sea Horse Ranch and 5 minute walk to a gorgeous beach. 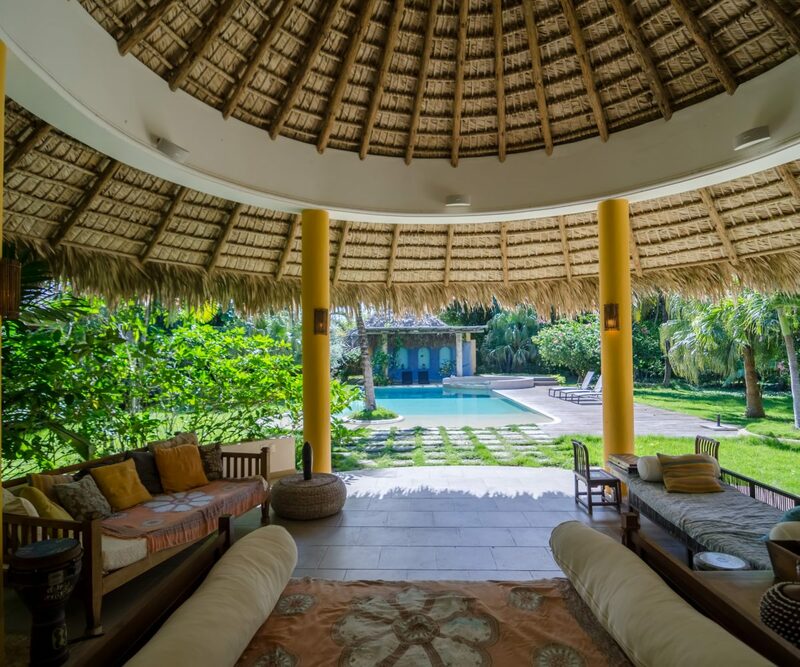 Designed by Silke Sadeghi of Sadeghi & Sadeghi Architects, the villa combines an eclectic feature of design elements, from Moroccan inspired archways, to a Balinese style Koi pond and bridge, to Mexican palapa and pergolas, European elegance with vaulted ceilings and open floor plans, French doors and a rooftop Atelier art space. 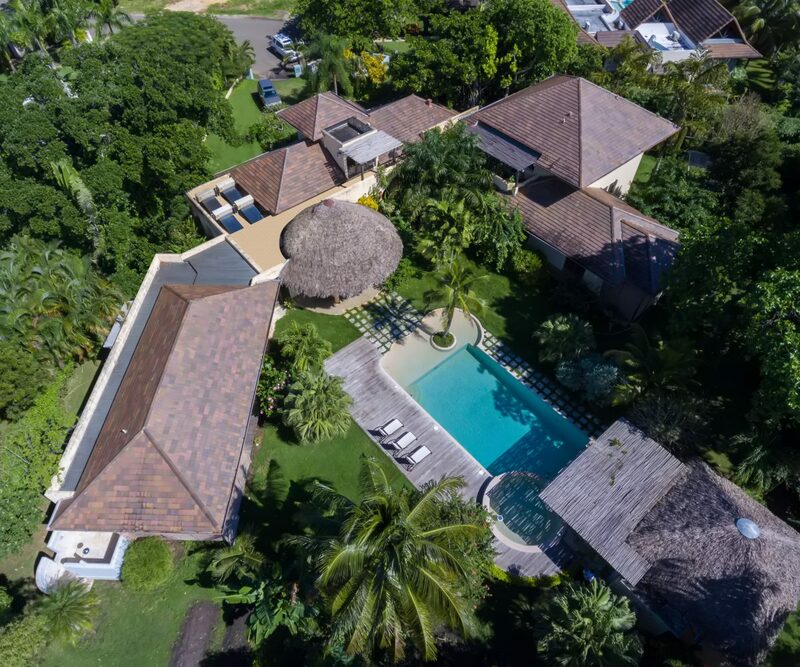 The unique layout of Villa Bohème offers focal points for gatherings such as an open air dining space nestled under ancient rubber and fig trees, their massive combined roots creating an extraordinary dining space that is secluded, serene and beautiful. 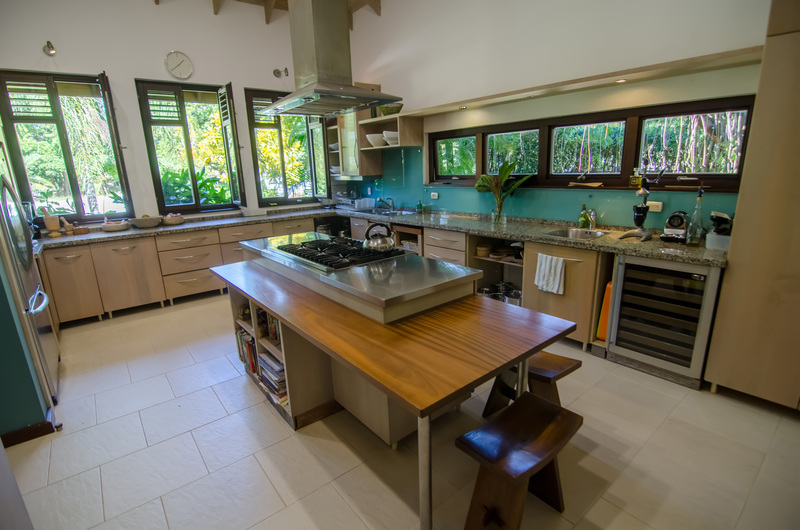 This dining enclave features a grilling area with charcoal BBQ, sink and slate stone detailing. 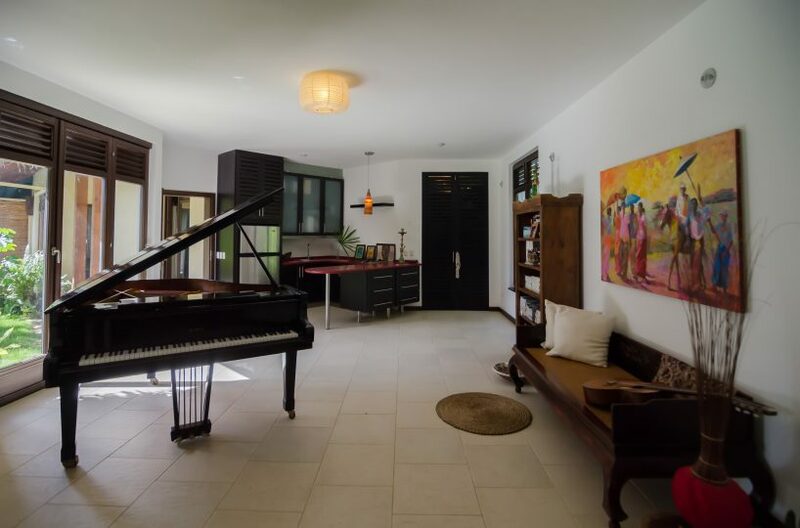 Connected to an expansive living room, indoor dining area and open state-of-the art kitchen, the space enjoys a marvelous flow suitable for entertaining large gatherings, yet is warm and intimate enough for family dinners. 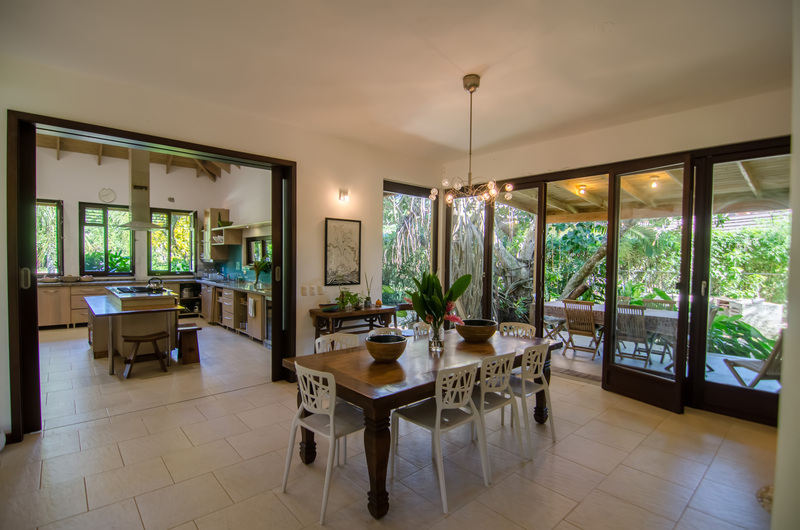 The modern rustic décor combines natural elements with contemporary furnishings, original works of art by Adolfo Faringthon, and high-quality materials such as German made solid oak doors and windows. 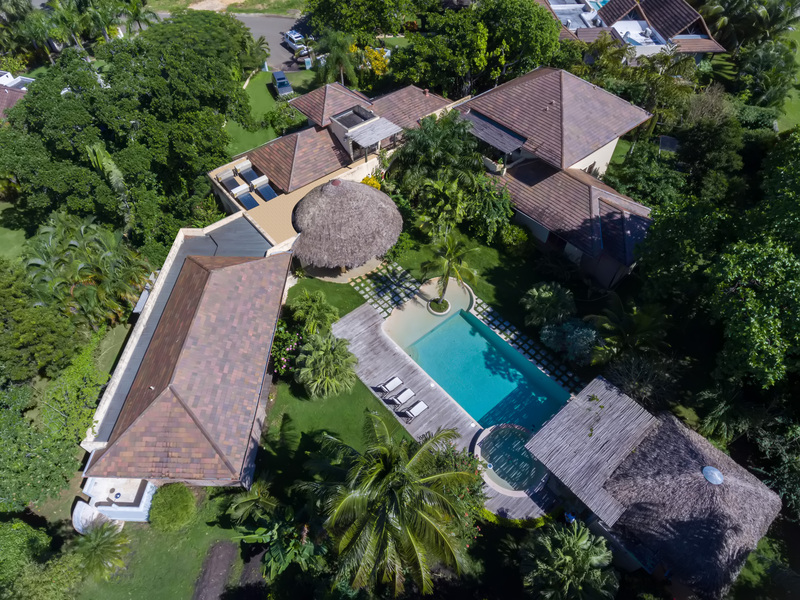 The layout of the home is designed with privacy in mind, with two distinct wings featuring its own Master bedroom with an en-suite bath, outdoor shower, private terrace and walk-in closet. 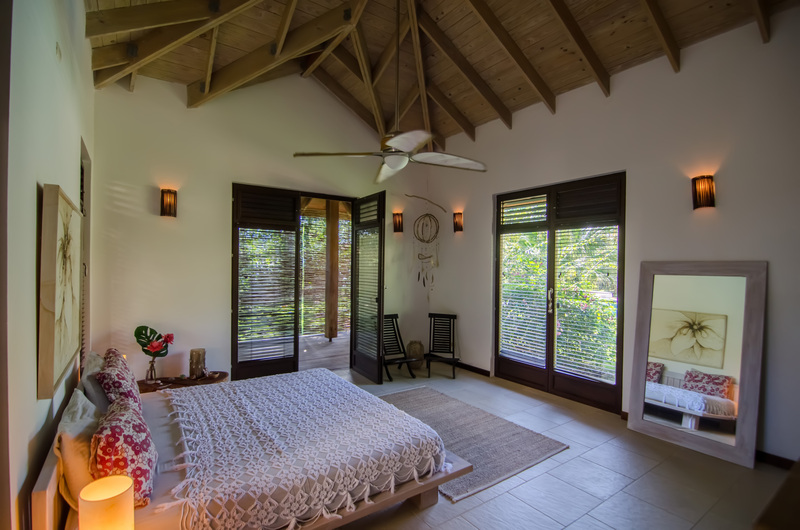 One Master bedroom is attached to a lounge and kitchenette which can serve a variety of entertaining and living needs. 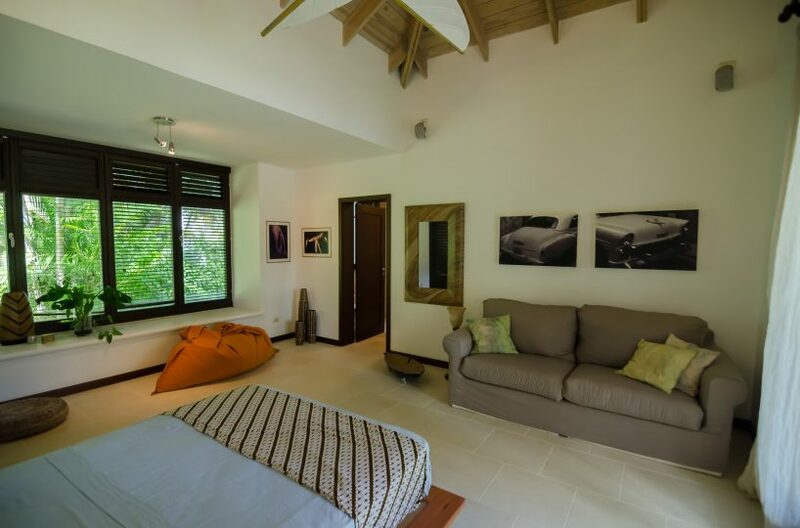 Both Master bedrooms open onto the back garden, pool and access a covered terrace. 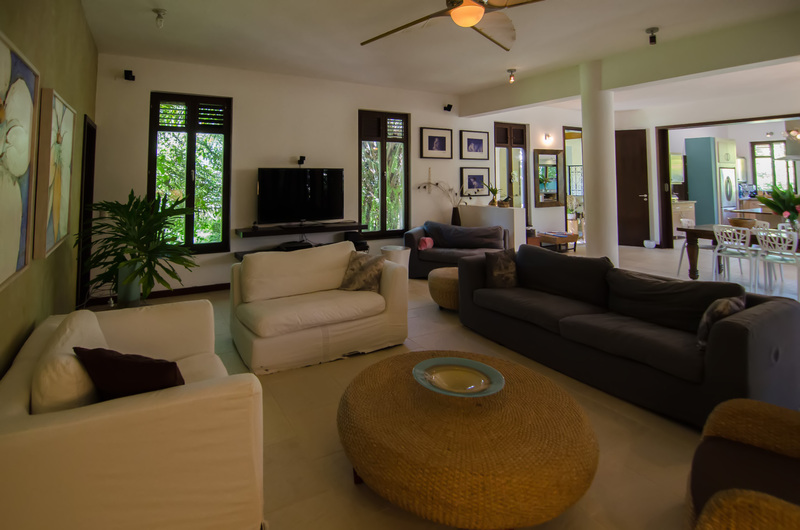 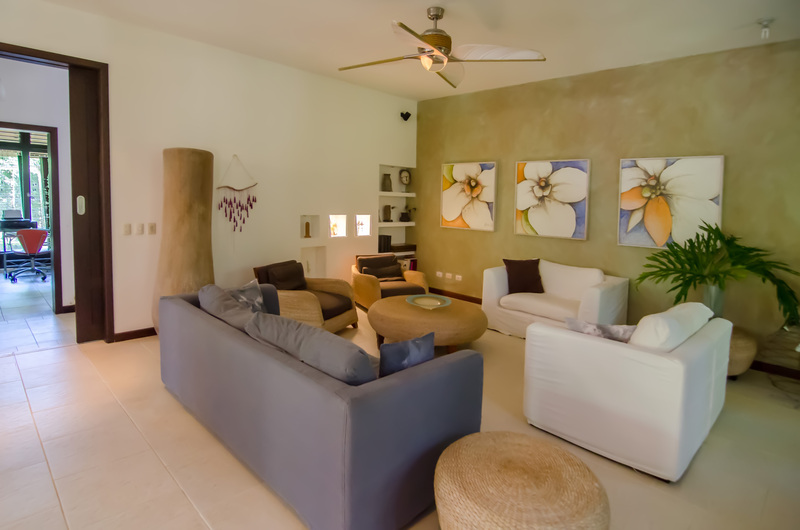 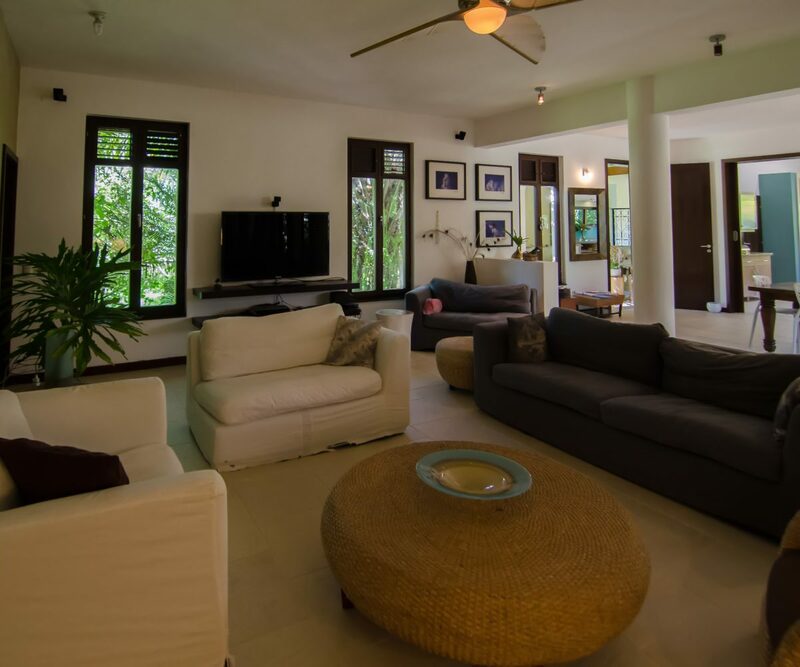 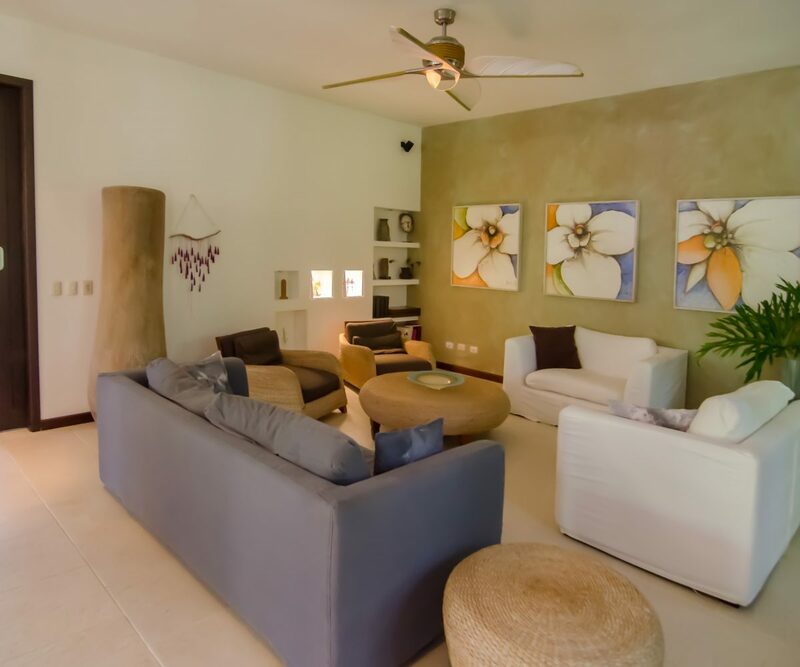 This villa has superb rental potential, ideal for vacationing with friends and family. 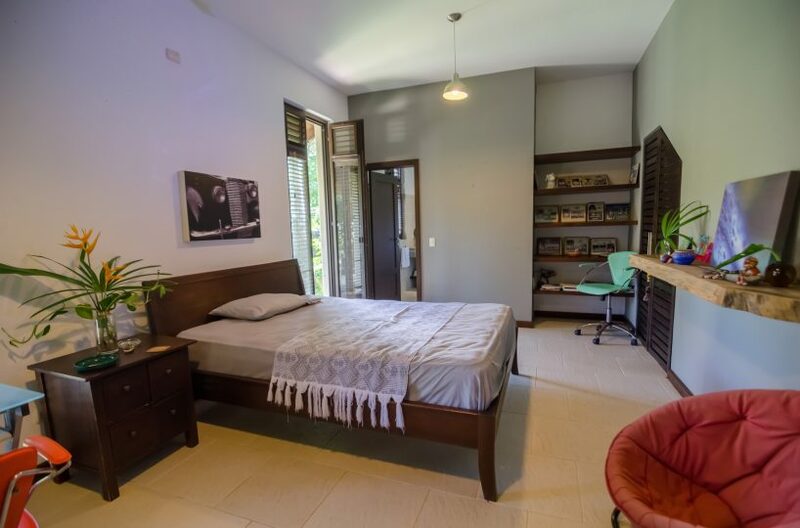 A guest bedroom/office with full bath and terrace and an additional half bath is comfortably located on the ground floor. 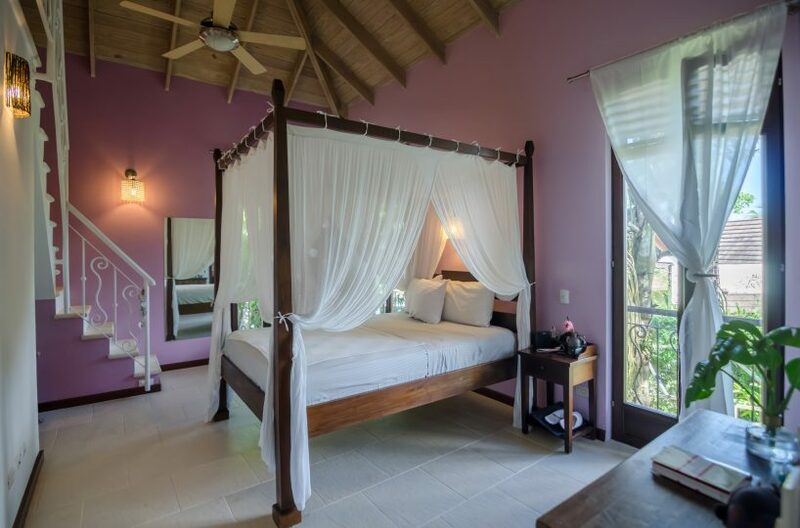 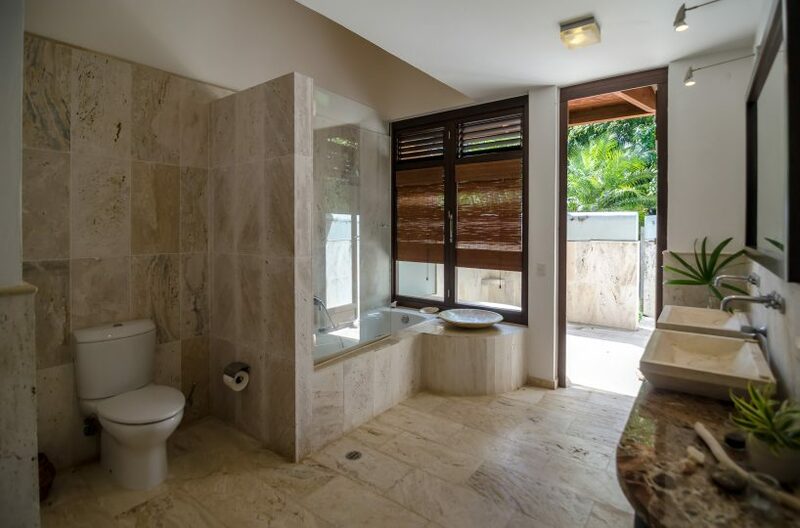 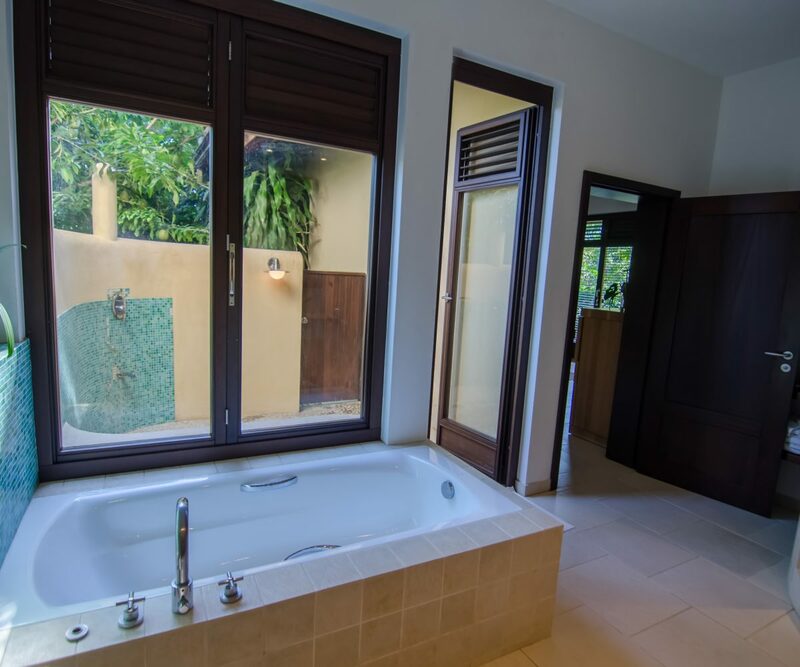 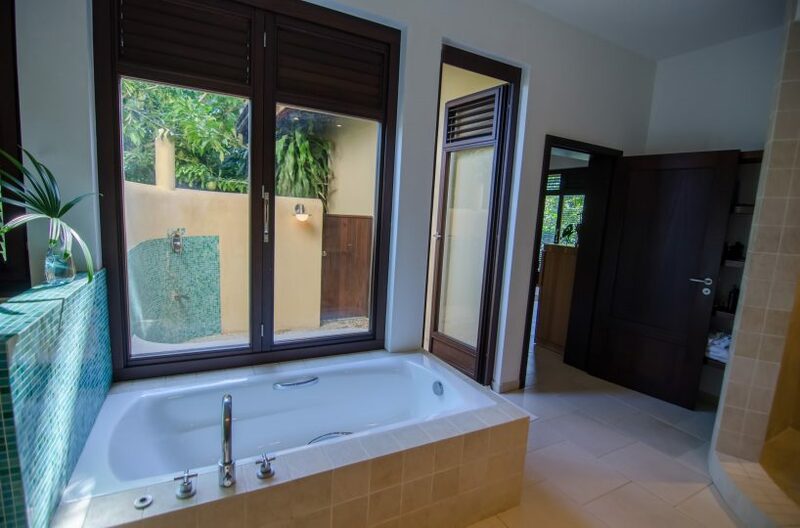 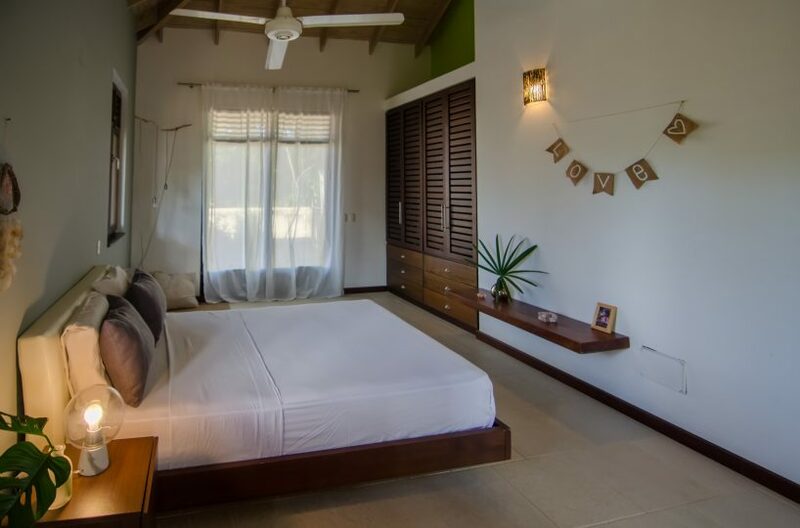 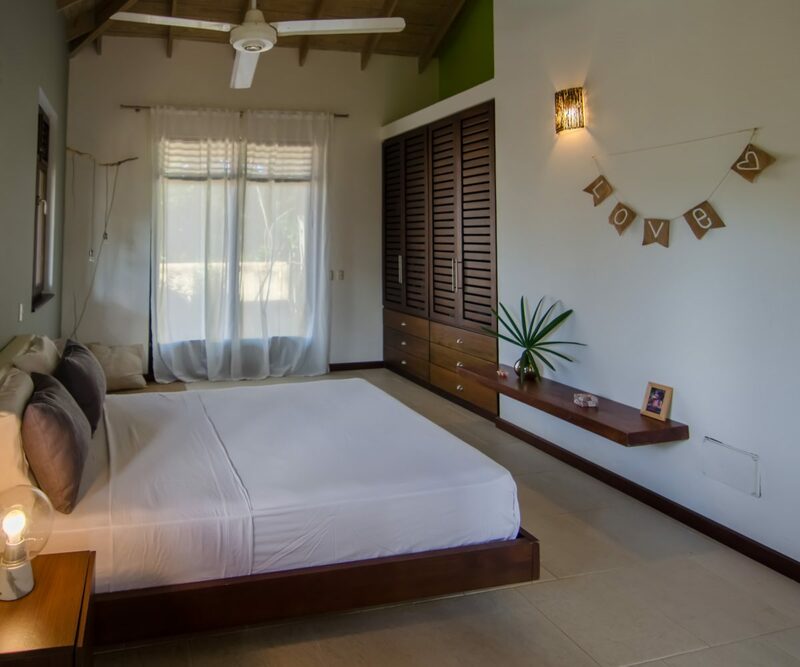 Two spacious bedrooms are located upstairs, each with private bath, enjoying privacy and shady romantic views. 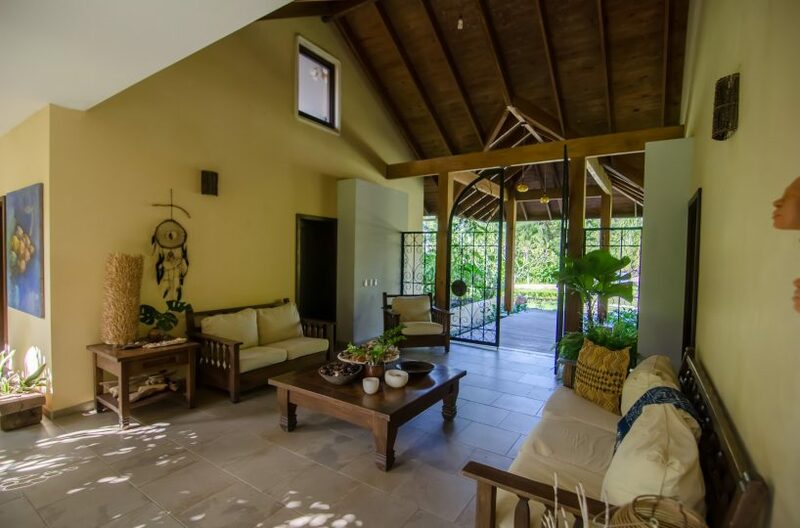 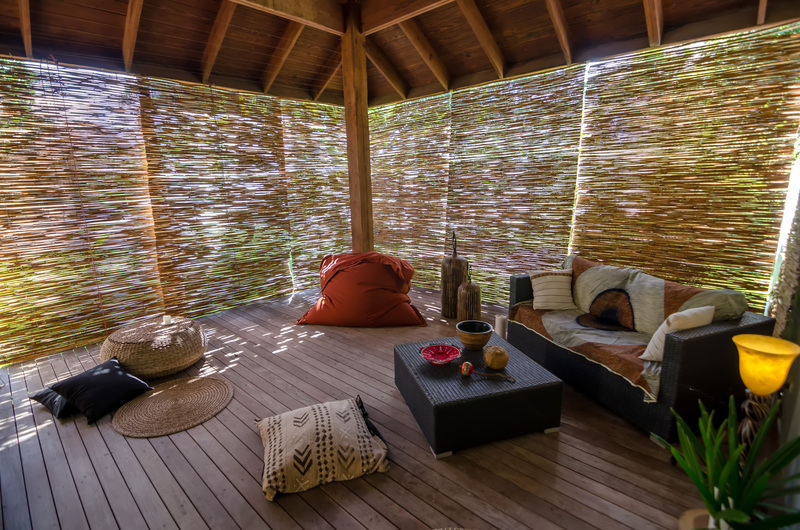 One bedroom features an upstairs loft and reading space and the other a terrace with a Mexican style cement bench under a rustic eucalyptus pergola. 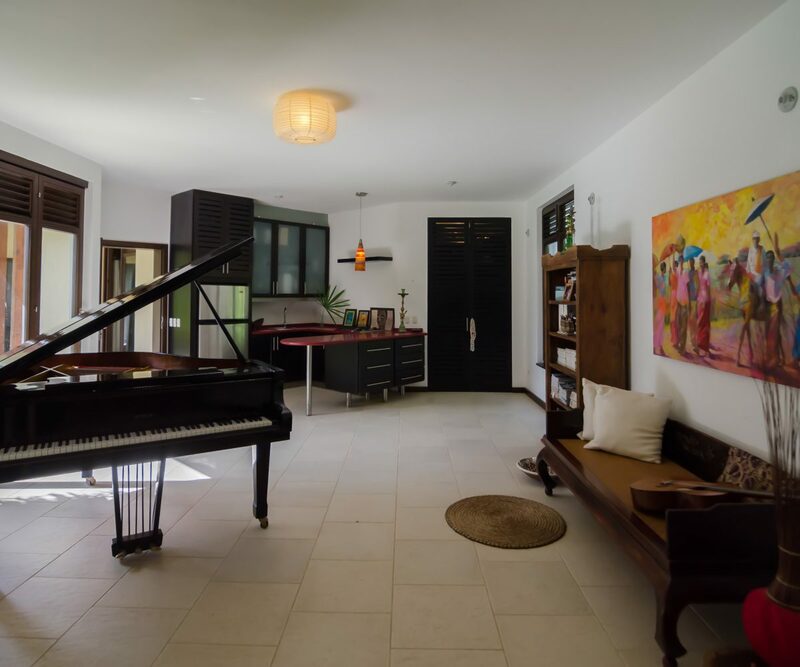 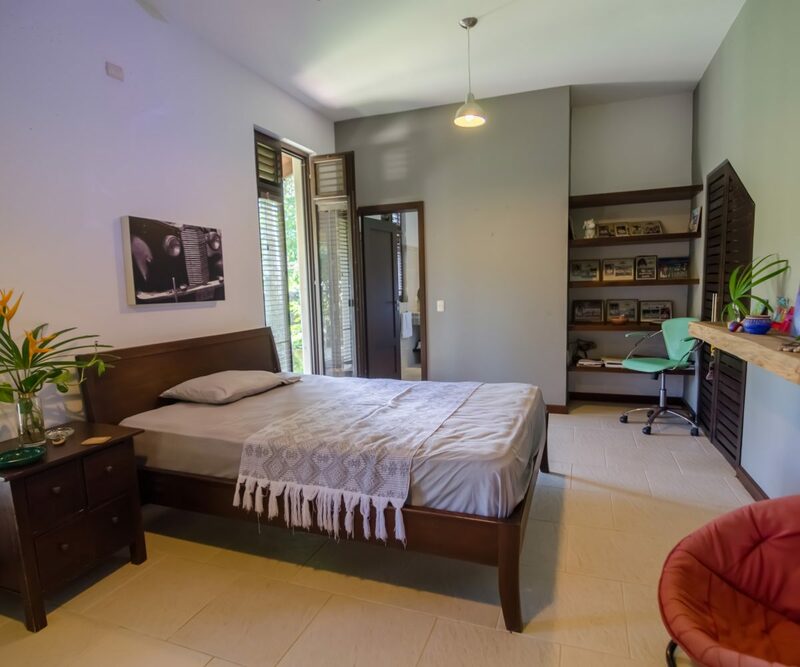 Unique features of this soulful home encourage creative pursuits with a stand-alone music recording space, with acoustic sound proofing panels making the space ideal for music lessons and recording. 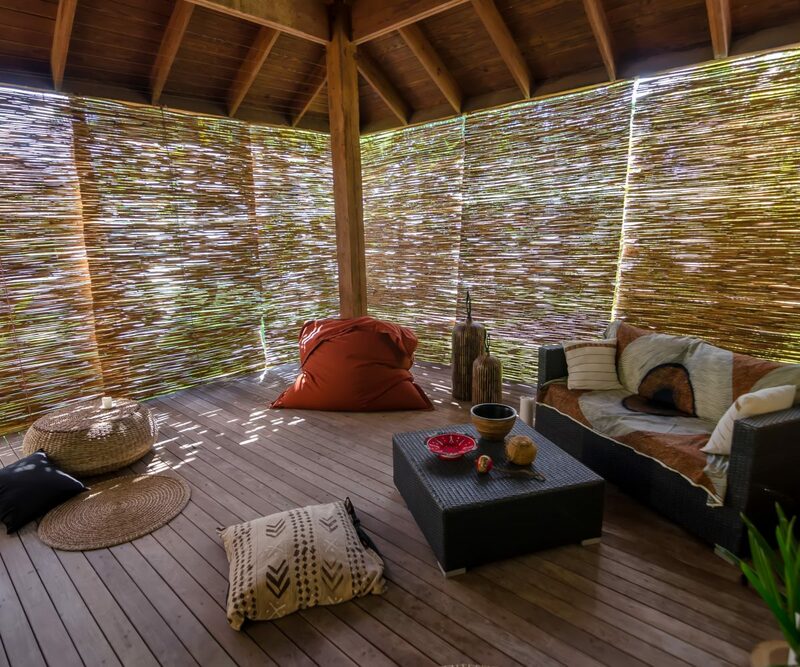 The rooftop atelier is soaked with sunshine and the windows and interior detailing embody Parisian charm. 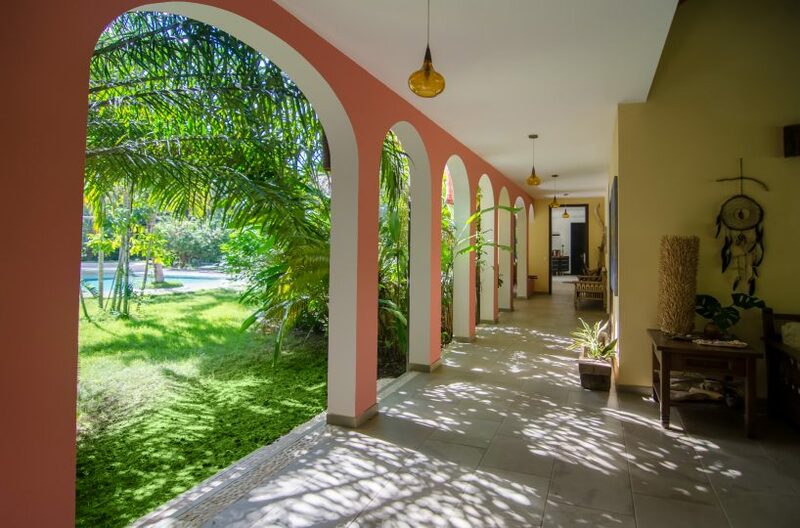 Villa Bohème is designed for those that live with a passion for appreciating all of nature’s blessings. 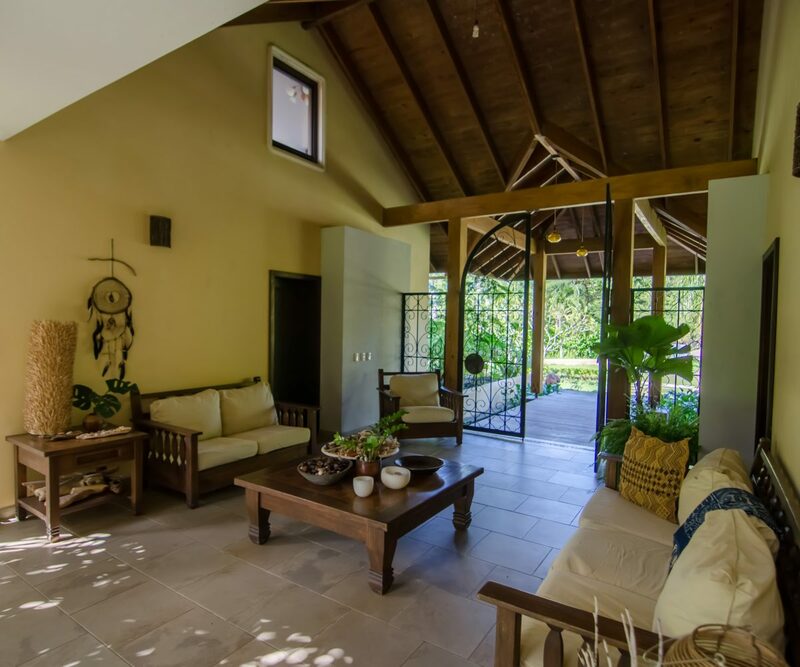 The home is outfitted with solar power, providing hot water from this abundant, natural resource. 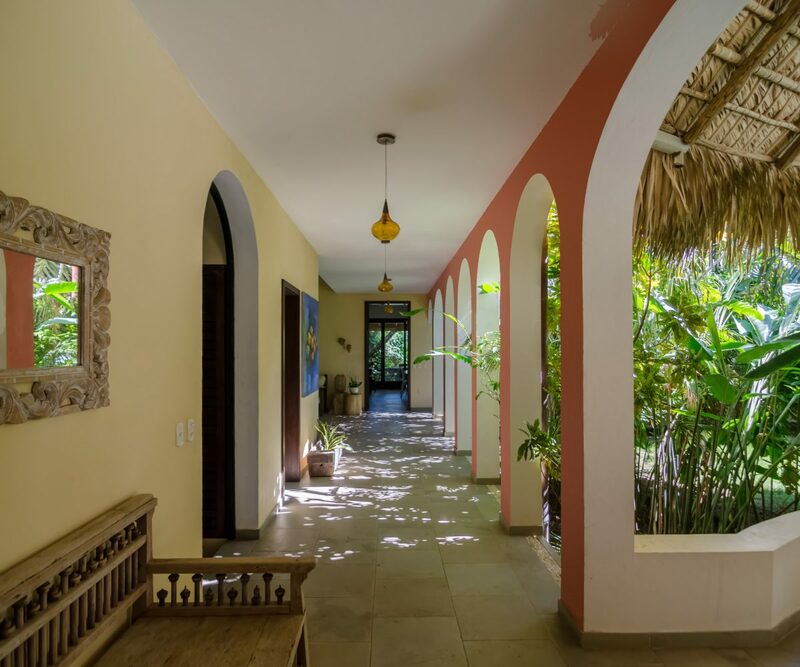 The garden enjoys mature vegetation, with a variety of fruit trees including mango, cherry, coconut, guava, avocado and banana, and a fully functioning Aquaponic garden is integrated with Tilapia fish, various plants and organic vegetables. 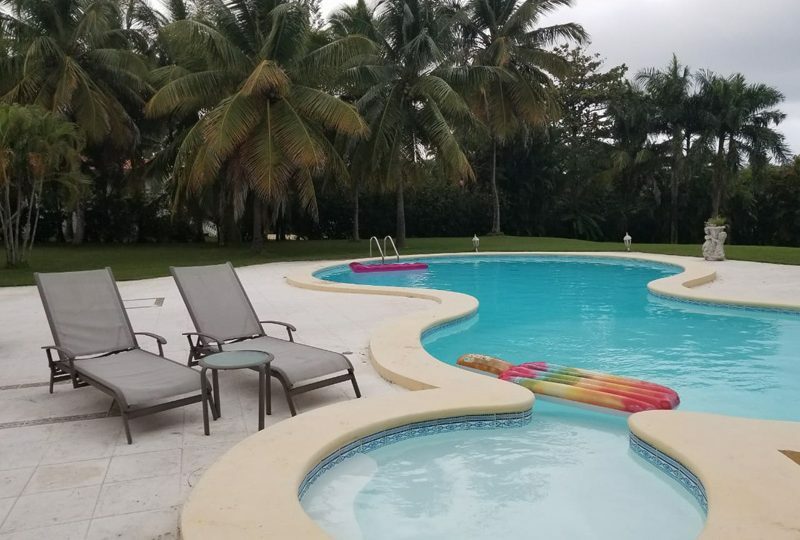 The pool is outfitted for saltwater if desired, and has a gently sloping shallow end, ideal for children. The poolside covered terrace provides ample outdoor entertaining space and areas for relaxing. 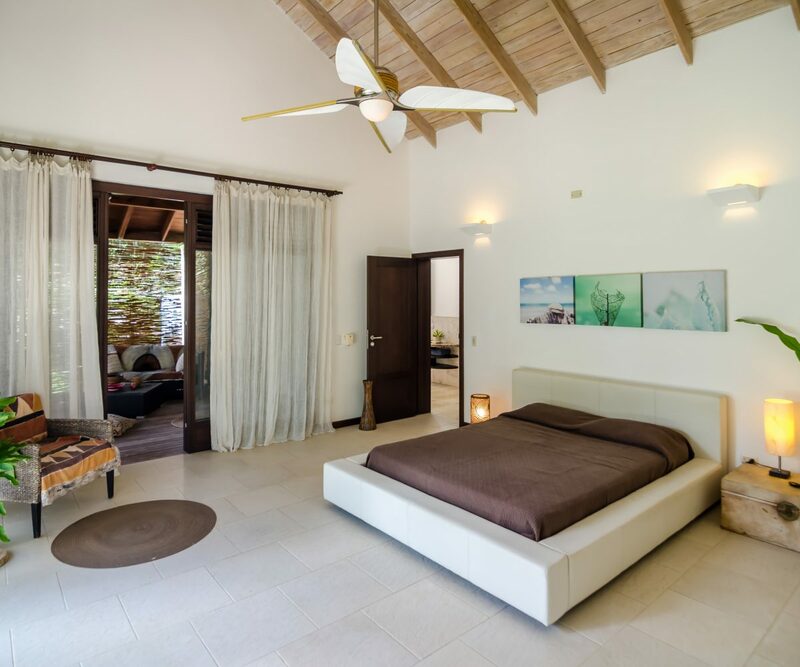 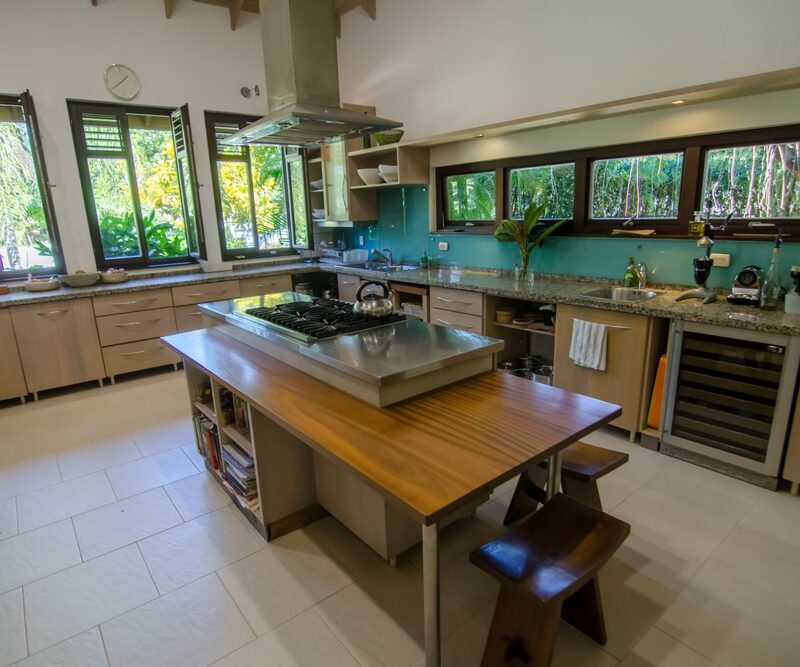 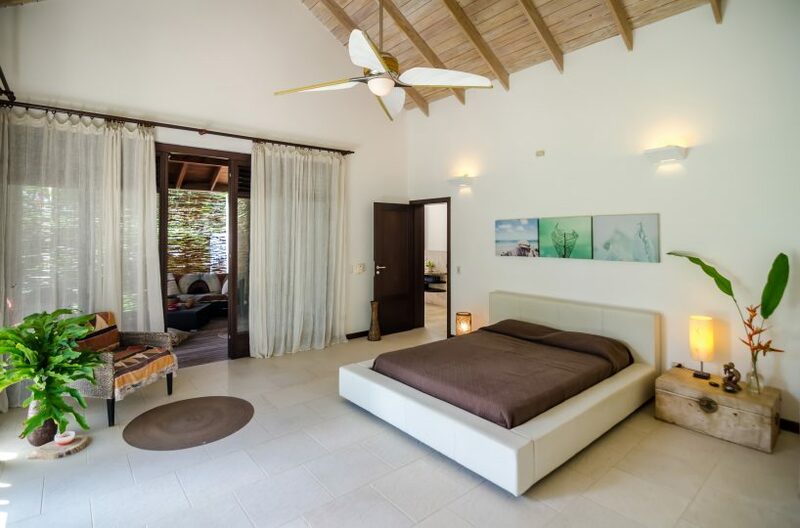 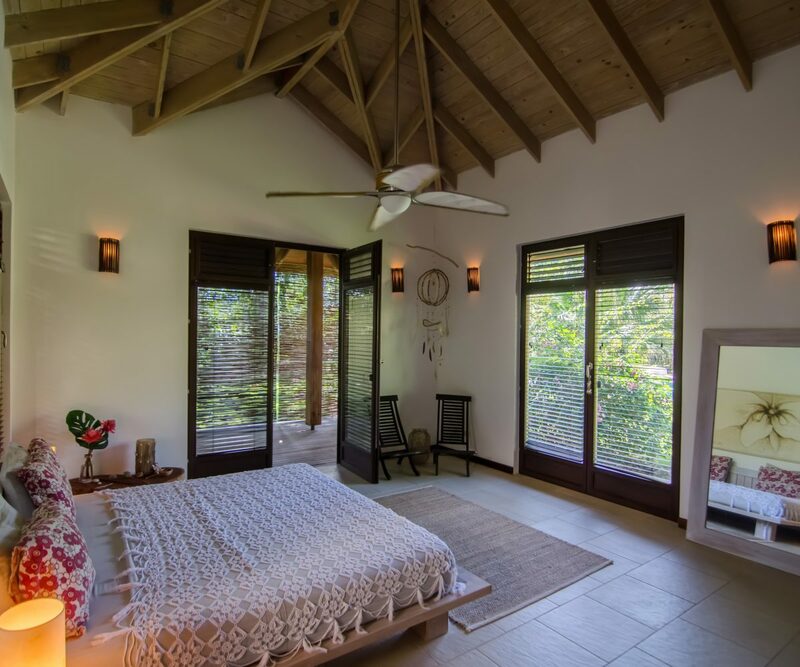 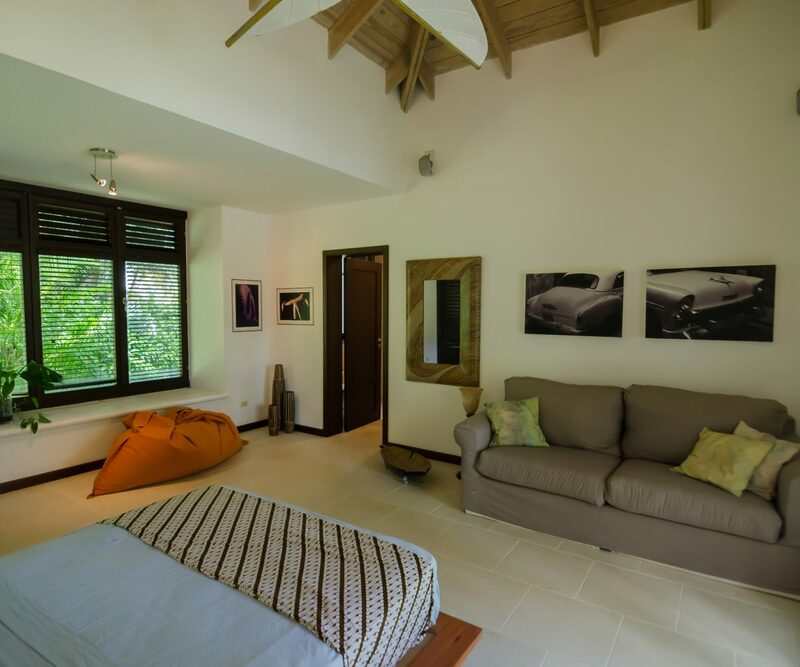 Enjoy the flow of Caribbean island living in this enchanted, stylish, villa retreat.